Suction cups with side hole. Suction Cups Direct. Adams large 64mm suction cups with a side pilot hole, hang heavier items by cord, wire or string in window displays and can also be used with thin dowel. These suction cups have a side pilot hole measuring approx. 5/32" (4.5mm) which travels all the way through the suction cup nub to the other side. 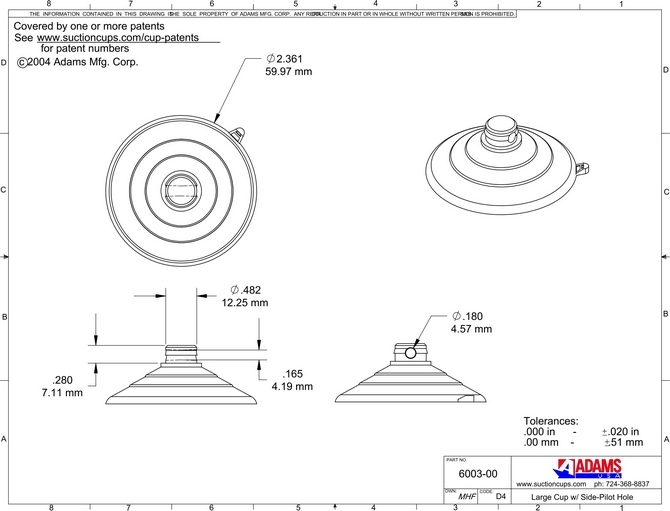 See technical drawing image for details. 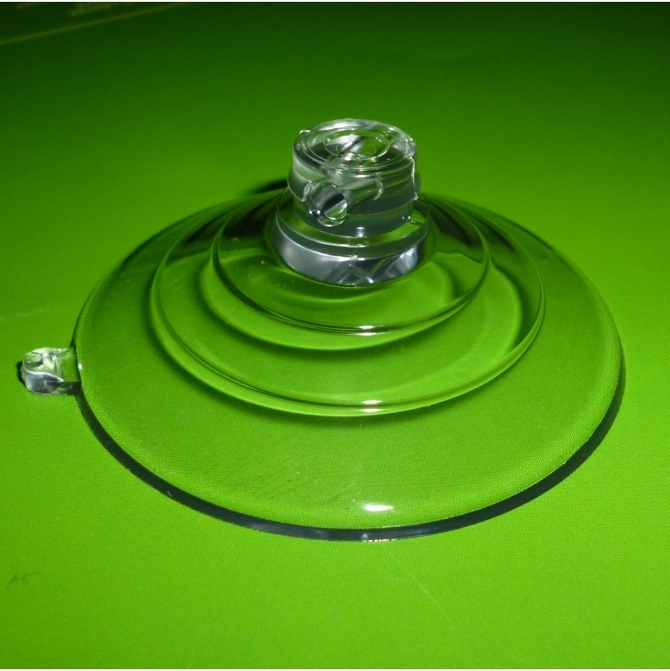 Adams 64mm suction cup is rated to hold 7 pounds (3.2kgs) in weight. Fix to a flat, dry, clean smooth/slick non-porous surface like glass, mirrors, glossy plastic or glazed ceramic tiles etc. To remove or re-position, use the Adams patented quick release tab that eliminates damage caused by finger nail picking of the cup edge.